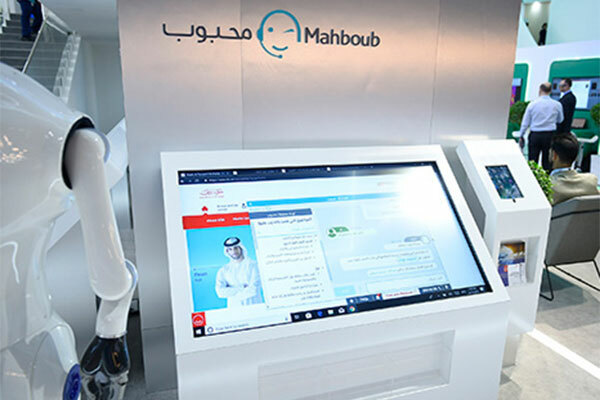 Dubai’s Roads and Transport Authority (RTA) has unveiled a sophisticated Artificial Intelligence initiative, branded ‘Mahboub,’ which is RTA’s personal assistant as part of its exhibits at Gitex Technology Week in Dubai, UAE. “Mahboub is a Chat Bot system between RTA and clients using AI technology,” said Mohammed Al Khayat, director of Smart Services, at RTA’s Corporate Technology Services Sector. “It enables clients to communicate with RTA through an automated chatting environment. Clients can inquire about informational services such as documents required for renewing driver’s license, and the system will respond to them without involving the Call Centre staff. They can also inquire about interactive services (such as nol card balance), and transactional services (such as the renewal of driving licenses or vehicle registration),” explained Al Khayat. “The system is bilingual (Arabic/English) and can be accessed through RTA’s website. More channels will be added to the system in future. It is considered one of the biggest chatting systems in the region in terms of the number of services covered. It encompasses about 90 informational, interactive and transactional services, thus offering a broad spectrum of RTA’s most common services. Examples of services on offer include rail services, nol, public transport, marine transport, licensing, parking and general inquiries,” he added. RTA uses AI in several services including the automated control of the metro service frequency (headway), machine learning in analysing Big Data, and emergency response system at the Enterprise Command and Control Centre (EC3).